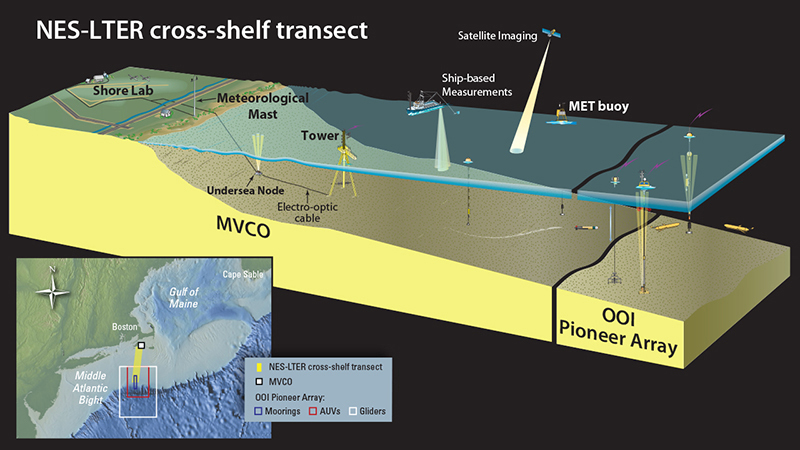 MVCO is a cabled observatory South of Martha's Vineyard (Massachusetts, US) where a variety of users can deploy instruments above and below the water. It is ideally suited for long-term observations and has been at the crux of the Sosik lab research since it's inception in 2002/2003. Most notably, FlowCytobot and Imaging FlowCytobot have been deployed almost continuously since 2003 and 2006, respectively. In addition, optical properties have been recorded with a SeaPRISM on the observatory tower and underwater fluorometers. The combined effort of these observations represent a unique data set of remarkable continuity and temporal resolution that has led to multiple publications and funding for new projects to expand the spatial resolution of the work to the New England Shelf. Imaging FlowCytobot(IFCB) enables long-term high resolution measurements of phytoplankton abundance and cell properties. Since the first IFCB was designed and built at WHOI, it has been a major component of our research program. 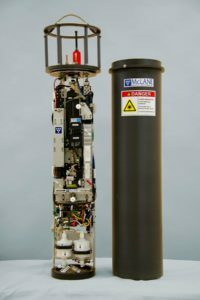 It has been deployed underwater at MVCO starting in 2006, creating a first of its kind phytoplankton time-series with unprecedented temporal resolution. IFCB has led us to many development and collaboration opportunities, including underway sampling at sea, development of an optimized version with McLane Research Laboratories, deployment of IFCB on small autonomous or remotely operated vehicles, and modifications for specialized sampling. In addition, the IFCB data and our published annotation set have invited collaborators from around the world working to optimize image classification. 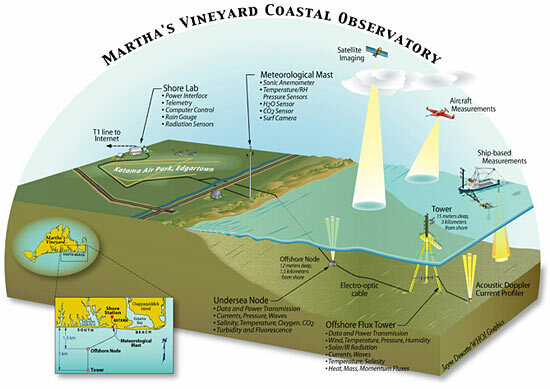 The NSF funded NES-LTER began on September 1, 2017, opening the door to build on existing regional observations and on-going time series from the Martha's Vineyard Coastal Observatory (MVCO), the Ocean Observatories Initiative (OOI) Pioneer Array, and NOAA-supported Ecosystem Monitoring (ECOMON) surveys. Heidi is the lead Principal Investigator, bringing together a team of researchers from a wide variety of disciplines on this major undertaking. Together they are working to understand and predict how planktonic food webs change through space and time in response to changes in the physical environment, and how those changes impact ecosystem productivity, particularly of higher trophic levels. Observations and models will focus on processes and mechanisms that structure pelagic food webs, trophic transformations, and productivity, as well as the key interactions and feedbacks that modulate relationships among them. The Sosik group specifically, will contribute primarily analysis with flow-cytometry and Imaging FlowCytobot, as well as other core measurements. EXPORTS is a NASA large-scale field campaign that will provide critical information for quantifying the export and fate of upper ocean net primary production (NPP) from satellite observations. The overarching goal of EXPORTS is to develop a predictive understanding of the export and fate of global ocean primary production and its implications for the Earth’s carbon cycle in present and future climates. In 2017 NASA selected 11 proposals to conduct the research and answer the EXPORTS science questions. The Sosik component, in collaboration with Collin Roesler (Bowdoin), is investigating phytoplankton community structure, carbon stock, carbon export and carbon flux. They use optical measurements and Imaging FlowCytobot to answer questions about the role diatoms play in the North Pacific and North Atlantic Oceans. The Cooperative Institute for the North Atlantic Region (CINAR) works to conduct and coordinate cutting-edge research engaging both NOAA and academic scientists to enable informed decisions by NOAA for sustainable and beneficial management of the northwestern Atlantic shelf ecosystem. Participating investigators are from partnering institutions including the Gulf of Maine Research Institute, Rutgers University, University of Maine, University of Maryland Center for Environmental Science, and the Woods Hole Oceanographic Institution.